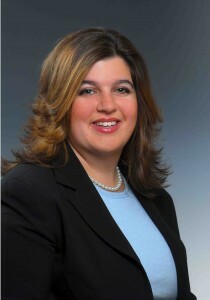 New City, NY—Councilwoman Stephanie Hausner announced Friday that she will not run for a third term and will be resigning as Chairwoman of the Clarkstown Democratic Committee. “I ran for office eight years ago because I wanted to devote my time to public service and to my community. When I started that journey at 25 years old, I had no idea where it would lead me. I have enjoyed my over seven years on the town board and feel like I can honestly say – I have made a difference in my community. Whether by working with Chambers of Commerce on economic development, leading the effort to save the Traphagen property and the Vanderbilt-Burke house, leading the infrastructure committee that conceived of the TOD development project in Nanuet, working with our businesses in Congers and Valley Cottage on our corridor projects, and pushing for senior and millennial housing options, I feel that my time was well served. “I even took my service one step further by serving as Democratic Chairwoman. Over those 3 years, as chair we won some amazing victories and suffered some heartbreaking losses. But, most importantly, we have come through stronger together. As both a Councilwoman and Chairwoman it has been an honor to lead that charge. “I have recently began a new professional position in Manhattan for a national advocacy organization that will require an increased amount of my attention and a lot of traveling throughout the country. Given that, I have decided now is the time to give someone else the opportunity to lead and run for my town board seat. When I ran I never intended to stay more than two terms—the intent of the current term limit law—and even though that law keeps changing my intention is the same.